It’s easier to make small tweaks to new information rather than change our minds. Imagine how disheartening it would feel if after every company win – big or small – your leader told this to the team. Or conversely, you heard, “We just got approved for a line of credit despite having no sales, business is going great!” Meanwhile you’re sitting on a broken office chair, you are the receptionist/sales team/marketing department and your last paycheck bounced. When you place your career in the hands of a leader you presume he/she is dealing with reality. You want to believe they do not succumb to distorted perceptions that might lead themselves and the company astray. Thing is, that leader might be you, whether you are the leader of a company or simply the leader of your own life. We are all of course people first and foremost and as such are susceptible to many cognitive distortions. The cognitive distortion at play in the above examples is called Minimization / Magnification. Both ends of the spectrum can amplify a positive or a negative to account for the full scope of an individual’s reality. Magnification – I got an average performance review from my boss, which really proves how inadequate I am. Minimization – Even if I did get a good evaluation, it still doesn’t prove I’m good at my job. Magnification – Two of 20 people gave me great feedback on my presentation, so this means I did amazing. Minimization – Even though my boss told me I was unprepared, it doesn’t mean I did poorly. The danger with magnifying/minimizing any incorrect perception is that it can significantly derail you from personal or company-wide success. You can lead yourself and others down a road of ruin if such distortions are not kept properly checked and balanced. You can see how all four minimization/magnification permutations can have immediate effects in our lives. If, for example, you are on the receiving end of feedback and experience the negative magnification in the above example it can prevent you from improving on the very feedback you were given in your feedback session. And if you are the giver of said feedback to someone experiencing negative magnification you may grow weary of this individual’s ability to rise above their limitations, not to mention the ability to accept feedback with grace and humility. You might throw in the towel one day, reinforcing the person’s self-distortion, which has now gained strength. If you are a CEO and experience positive minimization you might unwittingly disregard omens because you are so confident in your acumen. It’s much easier for our brains to make small tweaks to new information and experiences so that our existing ways of thinking remain unscathed rather than change our minds. So, we minimize the importance of anything that disagrees with or challenges our thinking, and we magnify the importance of anything that supports it. 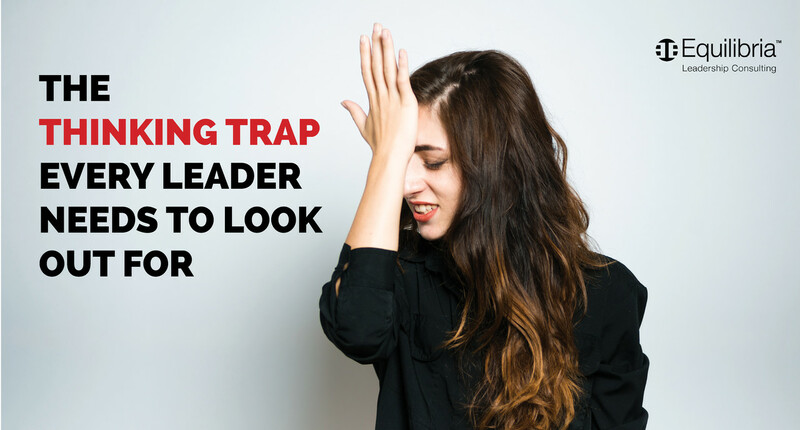 The danger for a leader is that the minimizing/magnifying cognitive distortion may be affecting your judgment – without you even knowing – because it works so automatically and unconsciously. To remain rooted in reality you need to cultivate your self-awareness, but how do you cultivate your own self-awareness if you’re unaware to begin with that you require an increase in self-awareness? You put in stop gaps. Leaders – or anyone for that matter – who surround themselves with ‘yes men’ and ‘yes women’ will only have their own beliefs regurgitated back to them. The leader who builds a team of trustworthy individuals who can deliver the truth will keep him/herself rooted in reality. Celebrating small wins motivates. It helps teams stay focused on what they are working for, and it gives everyone a chance to reflect on their successes. Take everyone – or yourself – out for drinks or create some time during the workday to acknowledge the wins. Whether it’s a therapist, executive coach, or someone in a mentor role, it’s crucial to seek counsel from someone in an advisory position who can give an informed perspective on your own potentially distorted self-perception. For instance, if you are suffering from negative minimization they can provide the necessary boost of confidence; alternatively, if you are suffering from positive magnification they can provide the necessary reality check. All of us fall victim to distortions from time to time. Distortions can become so deeply ingrained and habitual that it takes an almost superhuman effort to break their hold on our mind. But if you become cognizant and make an effort to stay self-aware you can keep distortions at bay. Over time, their influence lessens and the scope of reality widens.